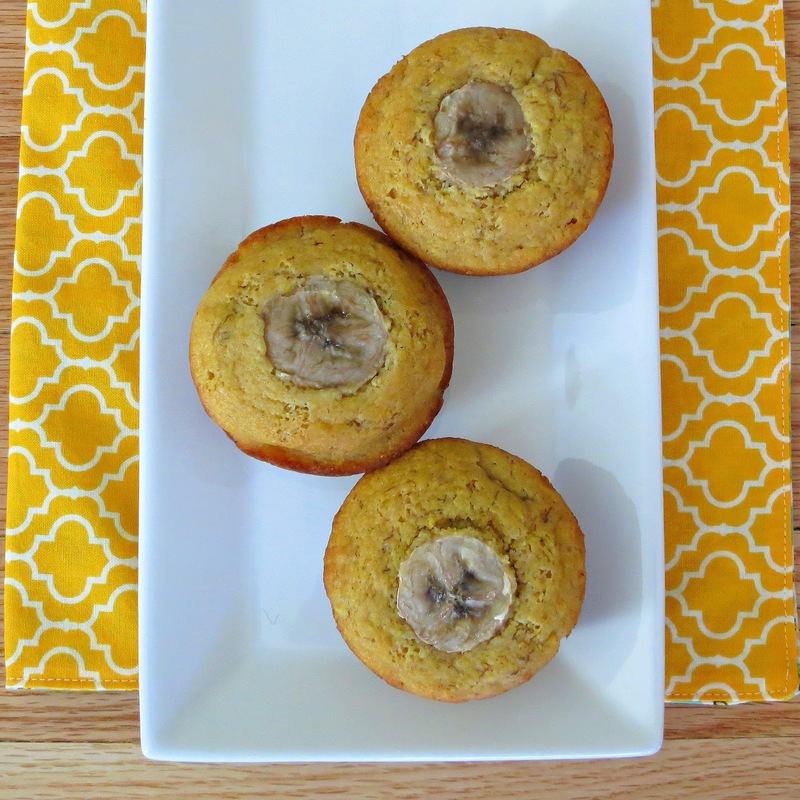 These Banana Cornbread Muffins were whipped together as a result of a request from my little Adam. For weeks, he had been asking me to make cornbread ~ specifically rosemary cornbread. Since I did not have any fresh rosemary on hand (and let’s be honest…it’s just not the same with dried), I decided to come up with something new. I spotted an overripe banana, got out a pen and a yellow sticky note and started jotting down what became this recipe. 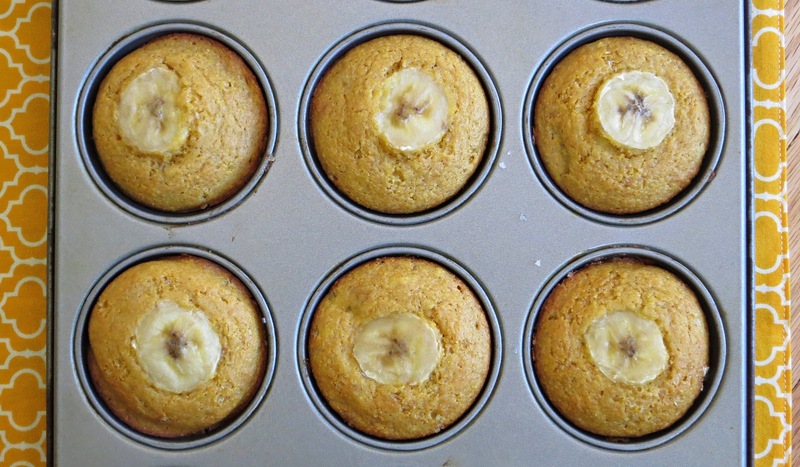 The result is a muffin with a nice balance of banana and cornbread. They are light and fluffy, like any good muffin should be (so more muffin-y than cornbread-y). I made half with a banana slice on top and half without. They look nicer with a slice, but the banana turns brown after a day or so. It still tastes good, but just not as pretty. Preheat oven to 350 degrees. Line muffin pan with 12 paper liners (or spray with cooking spray). Set aside. In a large bowl, whisk together the cornmeal, flour, baking powder, baking soda, cinnamon and salt. In a medium bowl, whisk the banana, buttermilk, oil, eggs, and vanilla until blended. Add the banana mixture to the cornmeal mixture and fold until combined. Divide batter evenly among muffin cups. 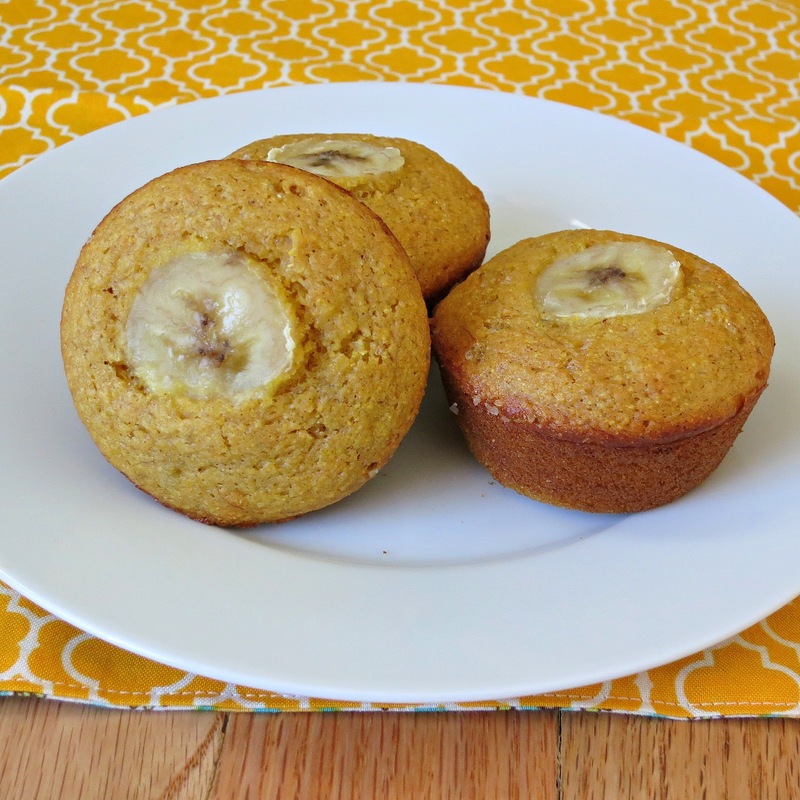 Place a slice of banana on top of each muffin. Bake for 15-18 minutes, or until a toothpick inserted in the center comes out clean.